I’ll be racking up the air miles once more this weekend as I ride at Lingfield on Friday afternoon, then off to Dubai that evening and then back to race in the UK again on Sunday. Not that I’m complaining- it’s fantastic to have so many good rides at Meydan World Cup Night. Having had a winner on this night last year with Benbatl, I’m hungry for more success on what is a very special evening of International racing. My standout ride would have to be on Champions Day winner Sands Of Mali in the Al Quoz Sprint, who runs for Phoenix Thoroughbreds. It’s sure to be a very different test to what he faced at Ascot in October. He’s certainly an improving horse, and I know Richard Fahey and his team are very happy with him. Blue Point has been brilliant in all his prep runs so far, though. If he turns up he’s going to be a very tough opponent to beat. 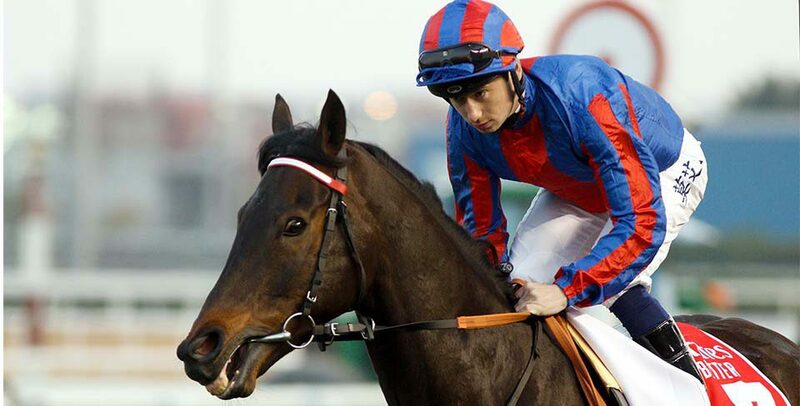 Another I ride for Phoenix Thoroughbreds is Gronkowski in the Dubai World Cup. They’ve been very good to me ever since I rode their first Royal Ascot winner with Signora Cabello, and I would love to keep the current relationship. Gronkowski is drawn 7 in a very competitive race, with lots of strength in depth. Hopefully he can match the level of form he showed when he was 2nd in the Belmont Stakes to Justify. If he does then he’ll run a very big race. Century Dream is a name many Champions Series fans will be familiar with. He’s a tough, genuine horse, and his work has been very good. The step up in trip I think will benefit him. Like most of the races on Saturday it is a very competitive with some star names in the line up. Almond Eye is one of those, she is very special. If she transfers her form from Japan, and there’s no reason why she won’t, she’s going to be very hard to beat. I spent time with her trainer Sakae Kunieda over the winter when I was in Japan, he’s very experienced and her jockey Cristophe Lemaire is a world class pilot. Together they are a lethal combination. I’m thrilled to be riding Prince Of Arran again. Amazingly, he seems to have improved again over the past 12 months . His 3rd in the Melbourne Cup is very solid form in the context of this race. He meets the winner of that race, Cross Counter, once again and is better off in the weights then he was that time. Cross Counter is an improving horse, though. 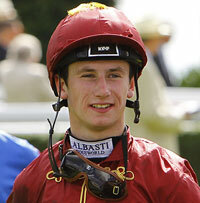 I’m confident however, that Prince Of Arran will run a huge race and be in the mix at the finish. In the UAE Derby I ride Golden Jaguar for Phoenix Ladies Syndicate. He’s a most progressive horse that has won on both dirt and turf in his short career to date. This race represents a big step up in class, a step up in trip and a switch back to dirt having run his last two starts on the turf – so there are a lot of unknowns to consider. If he switches back smoothly to the dirt then he looks a very live outsider. Back in the UK the turf flat season is back, and the Lincoln at Doncaster is the feature. I think it’s very significant that James Doyle has chosen to go there rather than riding in Dubai, I’m very sure that was his choice and his ride Auxerre clearly has a huge chance. You do need a bit of luck as it can be a bit of a messy race – but James is a top, top rider and will give him every chance. The daughter of Kingman looks like she’s done well over the winter. Hopefully she can make her mark this year.